"It is great to see upward momentum in the forest and paper industry earnings, despite geopolitical turbulence, including ongoing NAFTA negotiations." 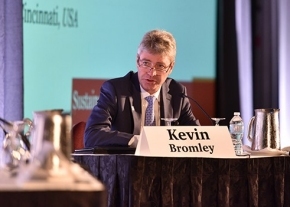 – Kevin Bromley, PwC Canada Forest, Paper and Packaging Leader. Sept. 11, 2018 - According to PwC Canada's Global forest and paper industry net earnings summary, the largest Canadian based forest products companies reported overall higher net earnings in the second quarter of 2018 compared to the same period last year. Western Canadian based companies in particular posted net earnings of CA$658.2 million in the second quarter of 2018, compared to net earnings of CA$419.3 million in the first quarter of 2018. Factors attributed to these favourable results include positive price momentum and improved operational performance. “It is great to see upward momentum in the forest and paper industry earnings, despite geopolitical turbulence, including ongoing NAFTA negotiations,” said Kevin Bromley, PwC Canada Forest, Paper and Packaging Leader. Similarly, the largest US-based forest and paper companies reported net earnings of US$1.89 billion in the second quarter of 2018, compared to earnings of US$1.67 billion in the first quarter of 2018 and earnings of US$1.26 billion in the second quarter of 2017. Positive results partly attributed to changes in foreign currency exchange rates. Meanwhile, Europe was down compared to the last quarter. Seven of the largest European based forest and paper companies reported net earnings of EUR 913.5 million for the second quarter of 2018, compared to earnings of EUR 944.2 million in the first quarter of 2018 and EUR 600.8 million reported in the second quarter of 2017. In the emerging markets regions, four of the largest forest and paper companies reported a net loss of US$426.3 million in the second quarter of 2018, compared to earnings of US$686.0 million in the first quarter of 2018 and earnings of US$64.8 million in the second quarter of 2017. Turbulent results outside of North American can be partly attributed to exchange rate variation. To access the report, please click: Global Forest and Paper Industry: Net Earnings Summary (Three months ended June 30, 2018).